Eurasian Panache at Dirty Apron - CHOMP! SLURRP! BURP! 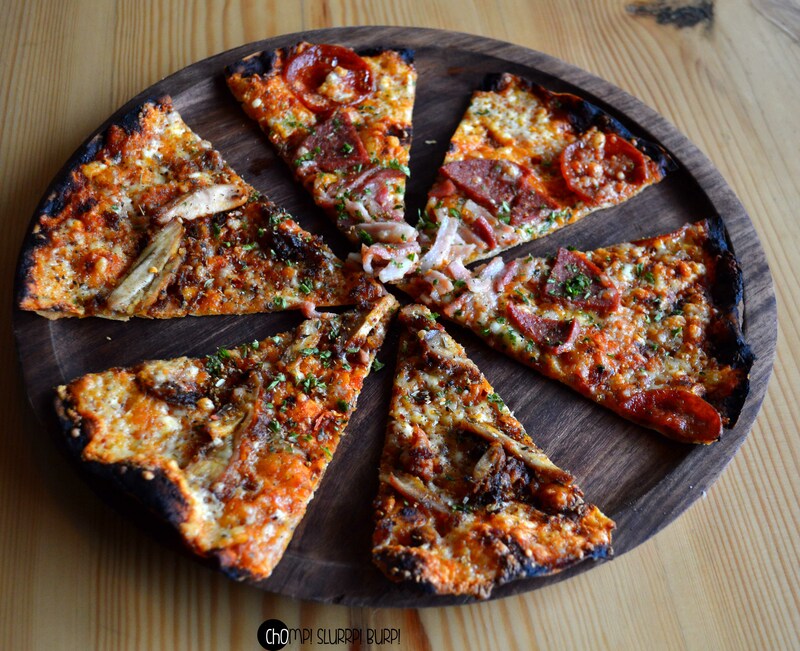 Dirty Apron is a gorgeous little place located above The Piano Man Jazz Club. Spread across floors – the first two floors house Delhi’s one of its kind Jazz Club with teak wood, dim lights, a splendid piano and complete with a 58 trumpet central chandelier. Moving another floor up, they shack a bakery which caters to their dessert needs and will very soon be fully operational with a separate menu. 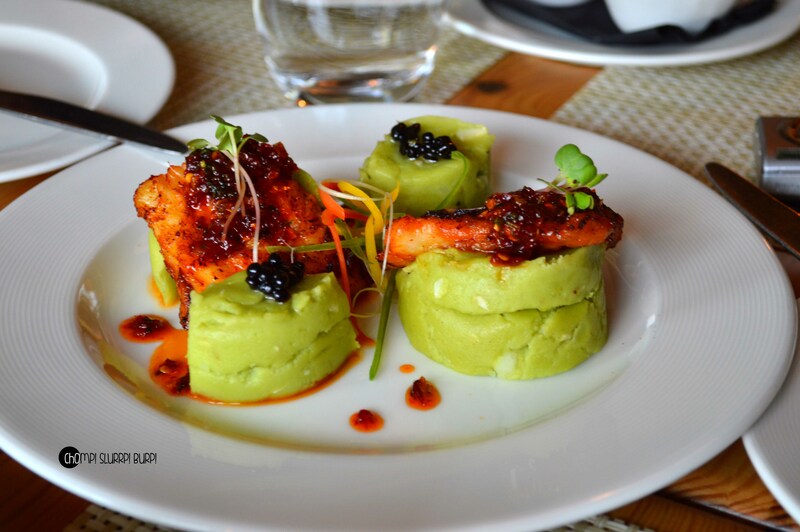 The third floor and rooftop are designated to the Dirty Apron – a Eurasian place serving classic and fusion delicacies. 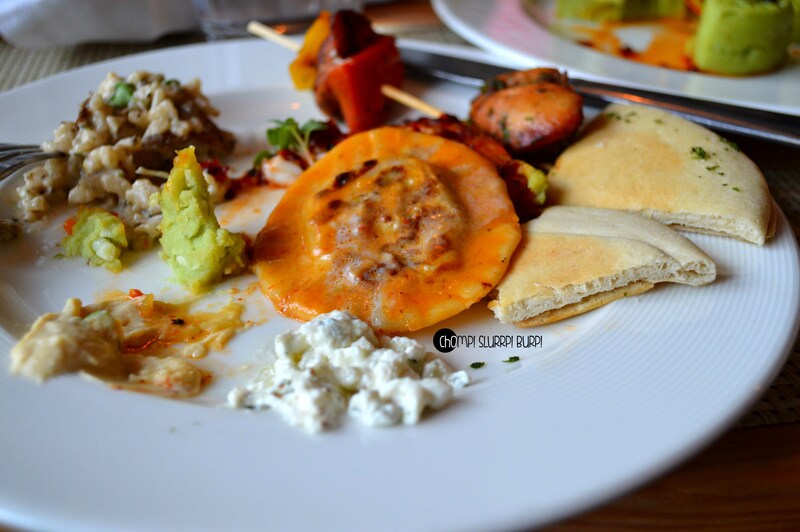 We had one of the finest brunches with their new launches, Summer specials and Piano Man classics. Our meal started with rounds of cocktails, cold soups and salads, moving on to appetizers including their recently launched thin crust pizza, an extensive main course, complete with sumptuous desserts. 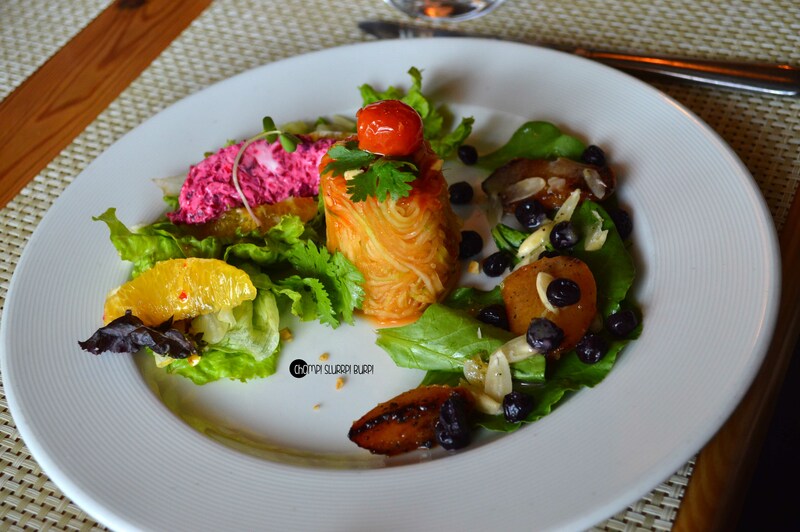 The whole experience was personally monitored by Chef Manoj who explained the intricacies of each dish and the owner of The Piano Man Cafes, Mr. Arjun whose passion for music and food and warm hospitality ensured a terrific luncheon. 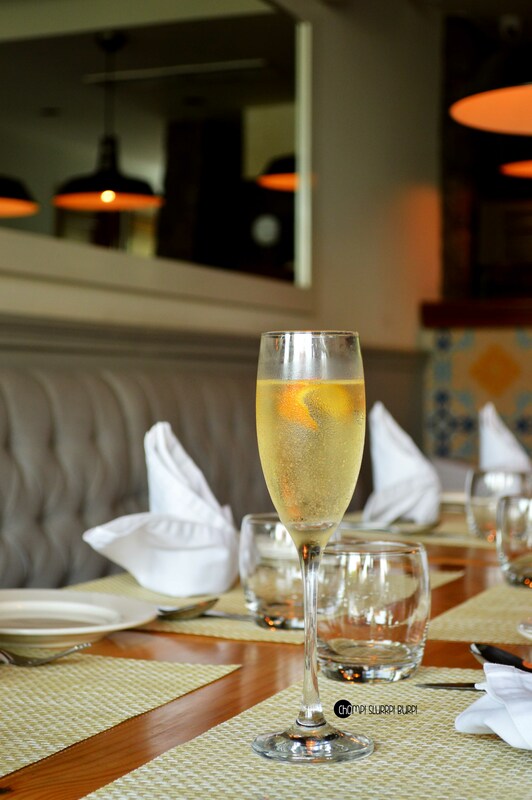 Coming to Dirty Apron – the place is not gigantic but the vibes are. The restaurant is spread over two floors – the first houses the bar, a wood brick fire oven and plush seating option. With sunlight beautifully bathing the place, the place is well lit and the huge mirrors and windowpanes make the ambiance very elegant. 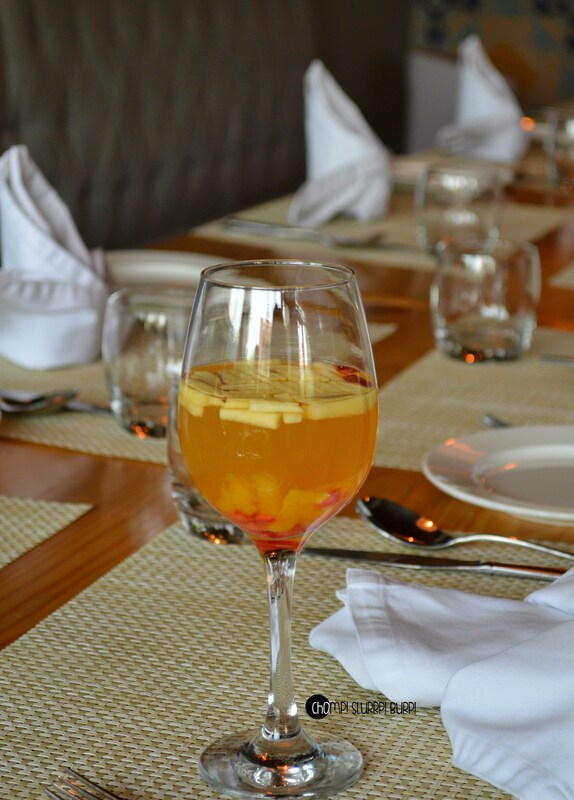 Starting with cocktails – we tried The Pot and White Wine Sangria. The sangria was beautifully laced with diced apples and absolutely spot on. The Pot was again a very interesting medley – Vodka with orange zest – very refreshing and unique. 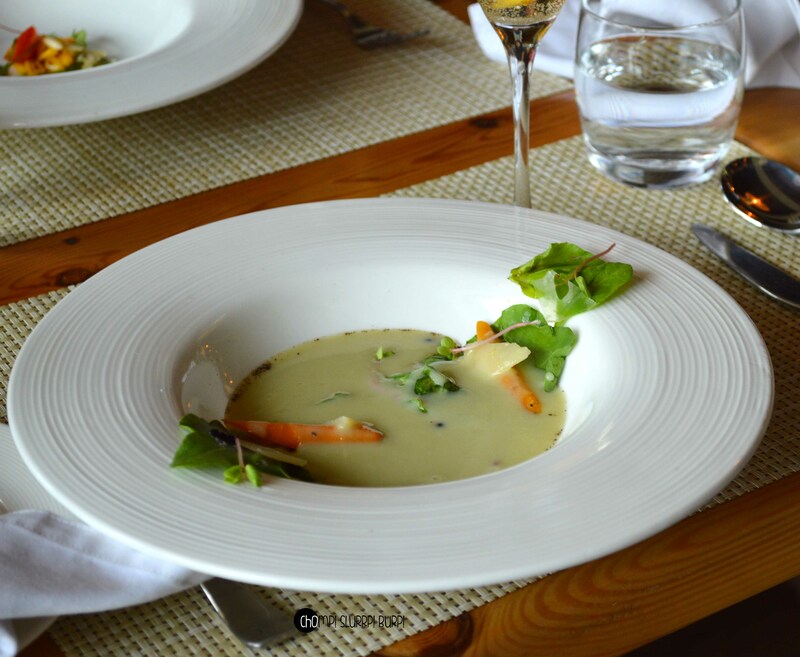 Moving on to the first course – the cold soups were plated and later poured in at the table. 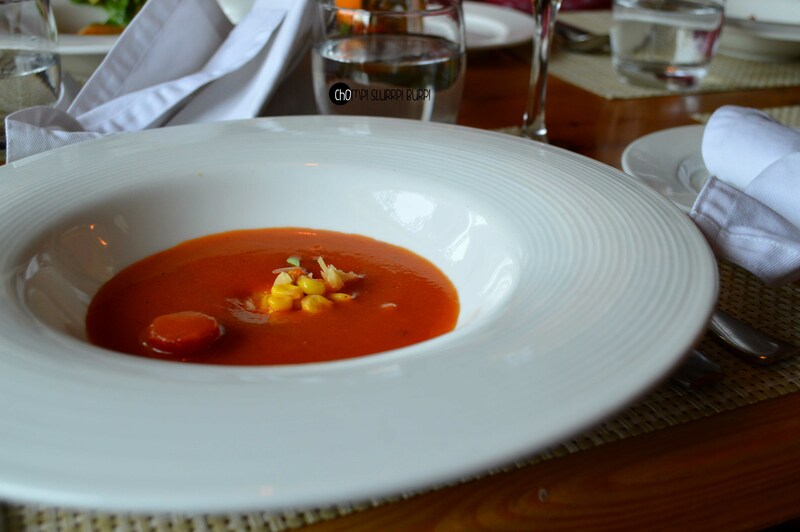 Detox cherry tomato broth – served with charred corn and a slice of tomato – the soup was slightly sweet and the inherent cool flavor made it very pleasing to the tastebuds. 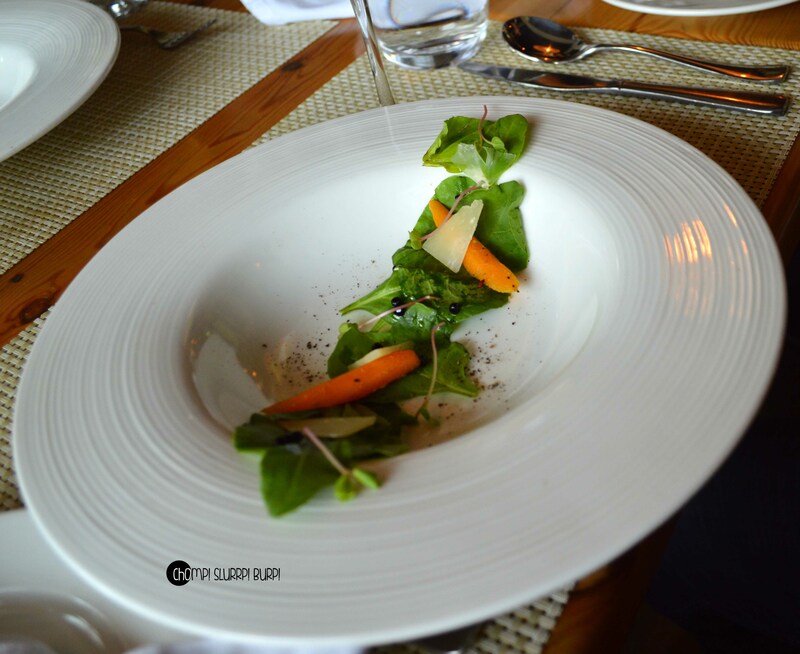 The second soup was the green apple vermouth soup – 40% vermouth added to the pungency – plated with spinach leaves, parmesan, balsamic caviar (a house innovation) and a piece of carrot, this one was definitely more favoured than the light flavored tomato broth. For salads, we tried small portions of three cold salads. Poached peach and blueberry salad (right) was on the sweeter side; the tom yam salad (centre) was crunchy and a little bit pungent; the beet root, orange and feta salad (left) was simply delicious – roasted beets tossed with feta cheese made was a pretty pink sight, the refreshing oranges and salad leaves make it a hot (err..cool) favorite this summer. 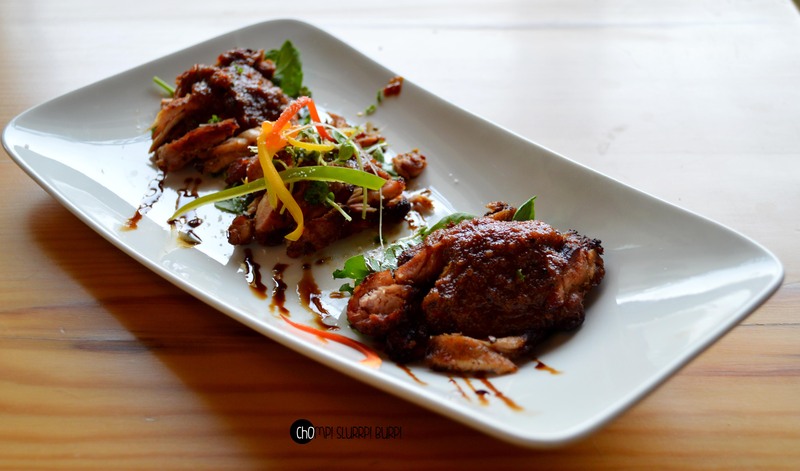 The jerk chicken – juicy chicken pieces with Jamaican Jerk spices and topped with a scrumptious sauce. 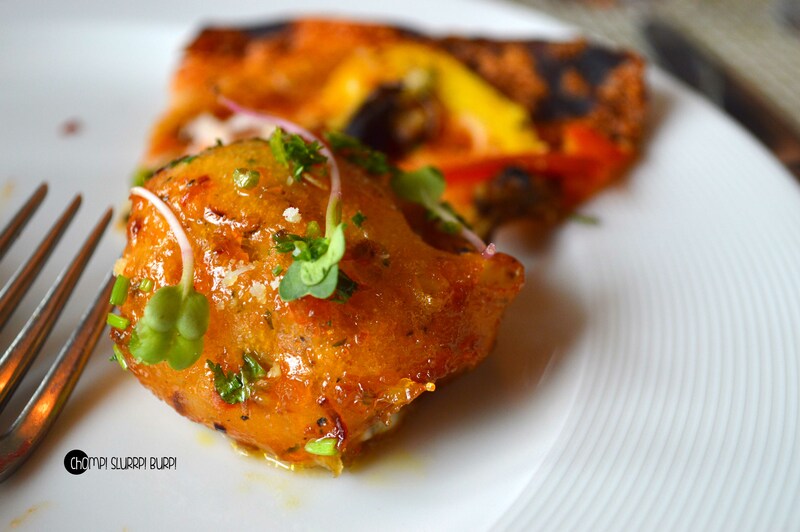 Stuffed mushroom nonya sauce – Button mushroom stuffed with cheese fried to perfect crispiness and coated with the sweet and stick Japanese Nonya sauce – this was one hell of an appetizer – the cheesy mushroom with the sauce simply tantalizes your senses. 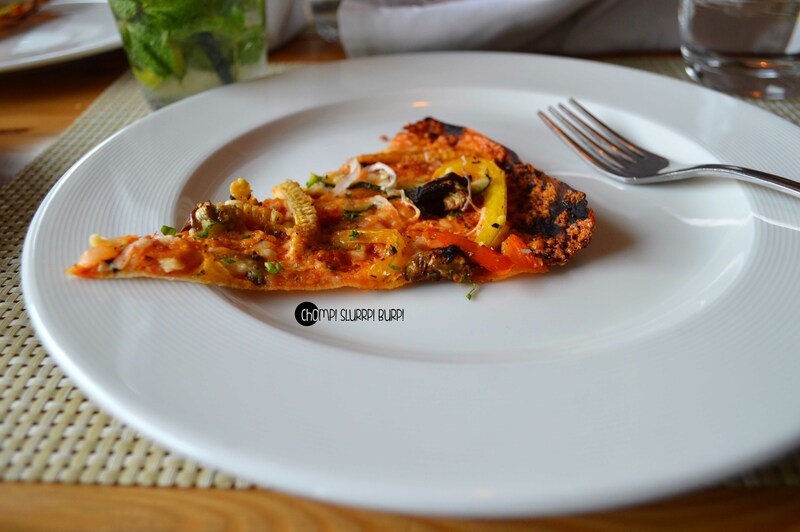 Their assortment of pizzas is exquisite – they have only recently started rolling out their thin crust pizzas. The USP is that they especially get their flour from Nasik and they roll it out extra thin, top it with excellent quality cheese and fresh toppings and you get the best, absolutely best pizza I have ever had. 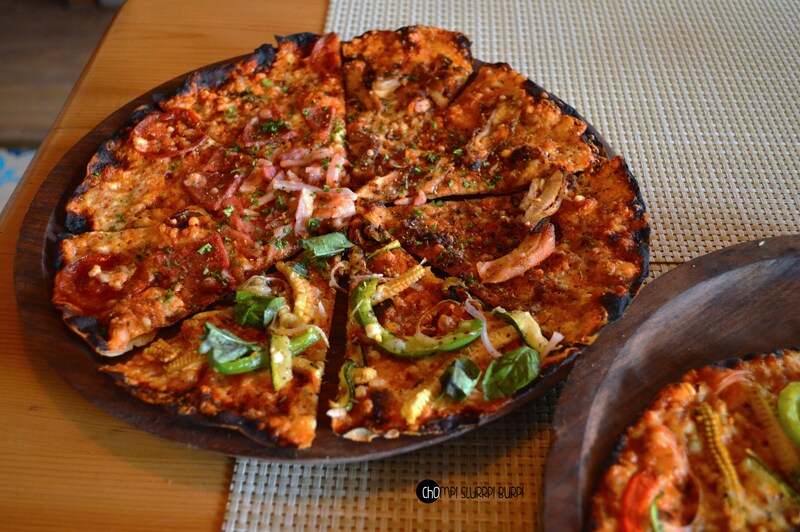 The non-vegetarian selection of pizzas included South Western Chicken pizza and Bacon and Pepperoni. Totally droolworthy! Bacon and pepperoni, south western chicken and pizza verdure. 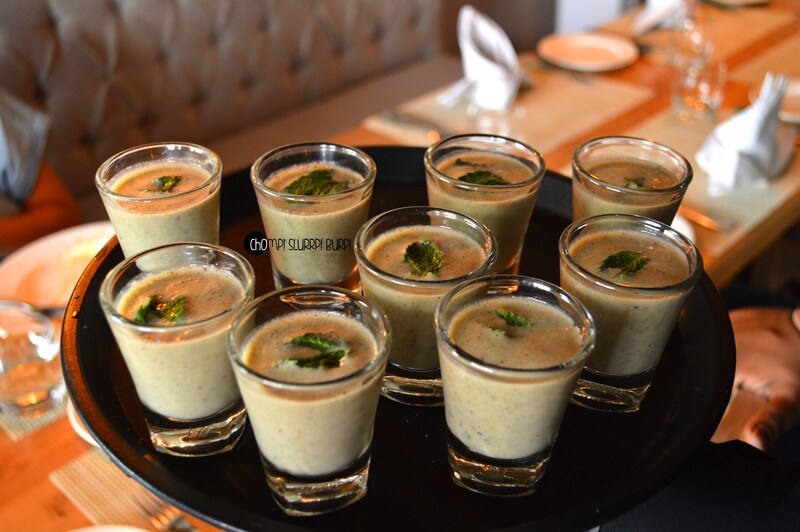 After the appetizers, we were offered a paan flavored palate cleanser shot. 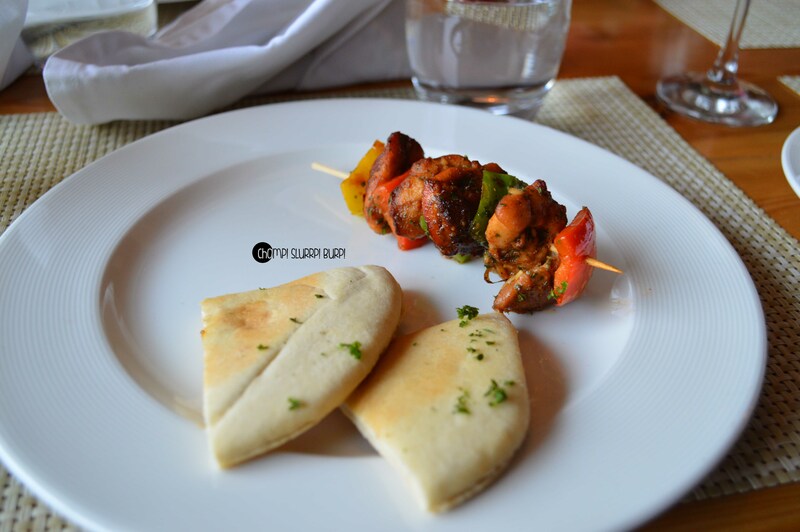 We started the main course with TPM Classic Chicken Shish Taouk with Lebanese dips. 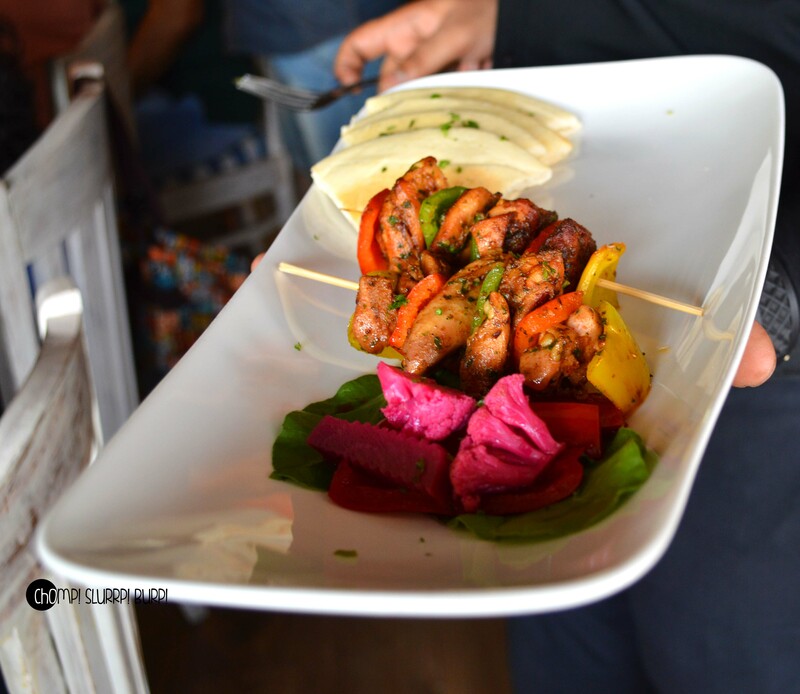 Diced chicken marinated and served in skewers with bell pepper and pita bread with smooth hummus and tzatziki. Herb-Crusted Sea Bass with sweet chilly Sambal – Fresh Basa layered with a sweet chilly sauce and served with wasabi and spinach mashed potatoes. Very appetizing. Thai curry and Pumpkin Gorgonzola Ravioli – Subtle thai curry flavors with ravioli stuffed with pumpkin and gorgonzola cheese. The ravioli could have been just a little softer for my taste. 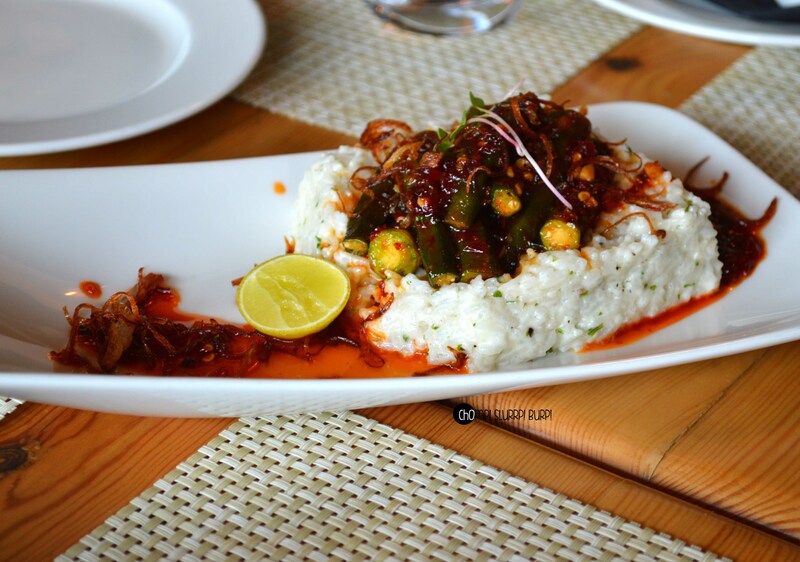 Coconut rice with sambal and okra served with crispy onions and lime. 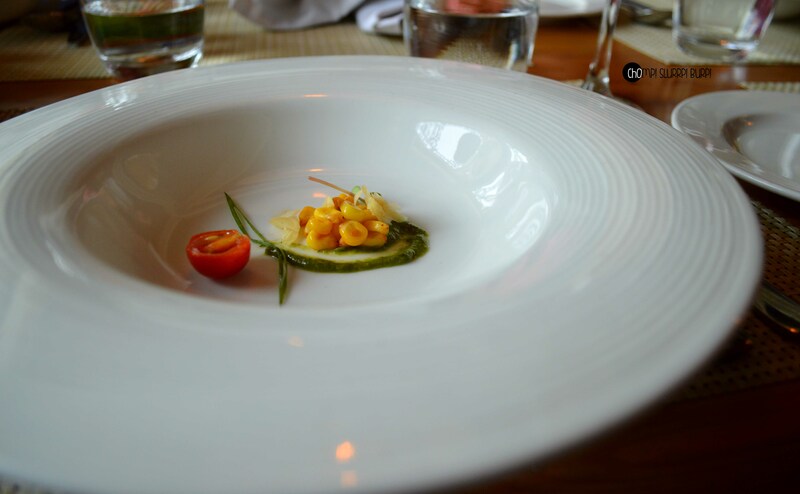 So, this was a really unique preparation – crispy okra tossed in the sweet sambal sauce served on a bed a coconut rice. 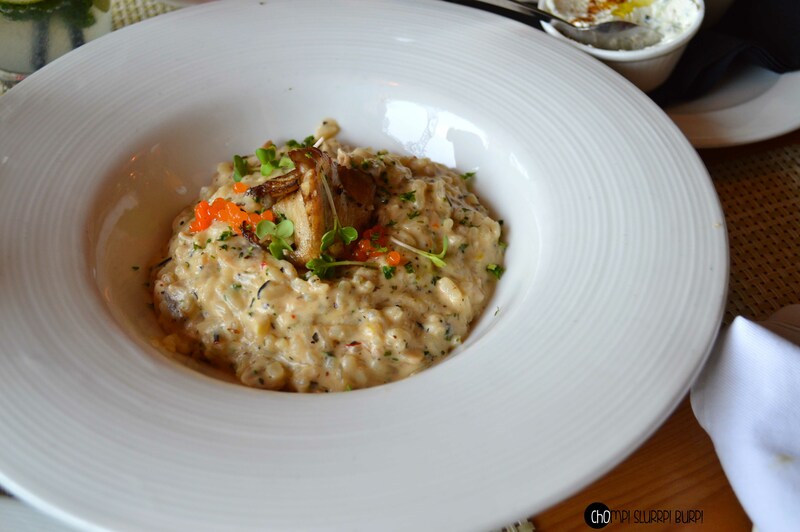 Wild mushroom risotto was very palatable – creamy and consistent with mushrooms. Rounding up this alluring meal with rounder bellies, we always have space for desserts – nutella brownie cupcake, cheesecake brownie and lemon grass and kafir creme brulee. 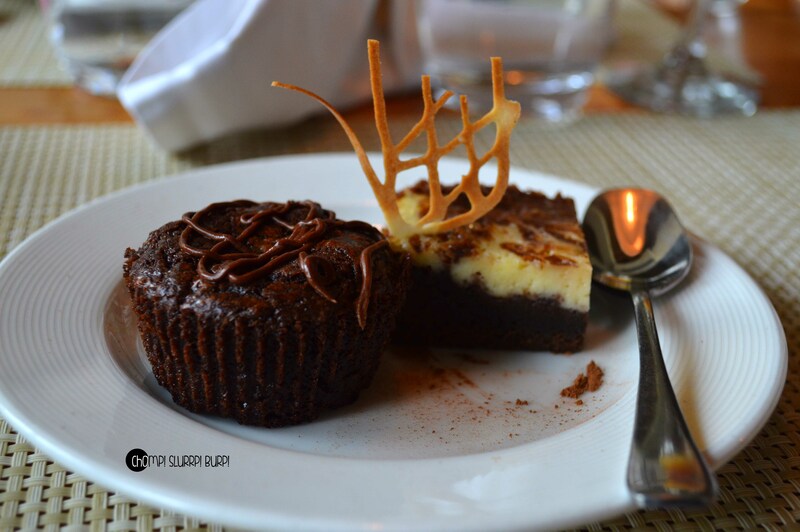 Chocolate nutella brownie cupcake and cheesecake brownie, oh so gooey and chocolatey and sinful. 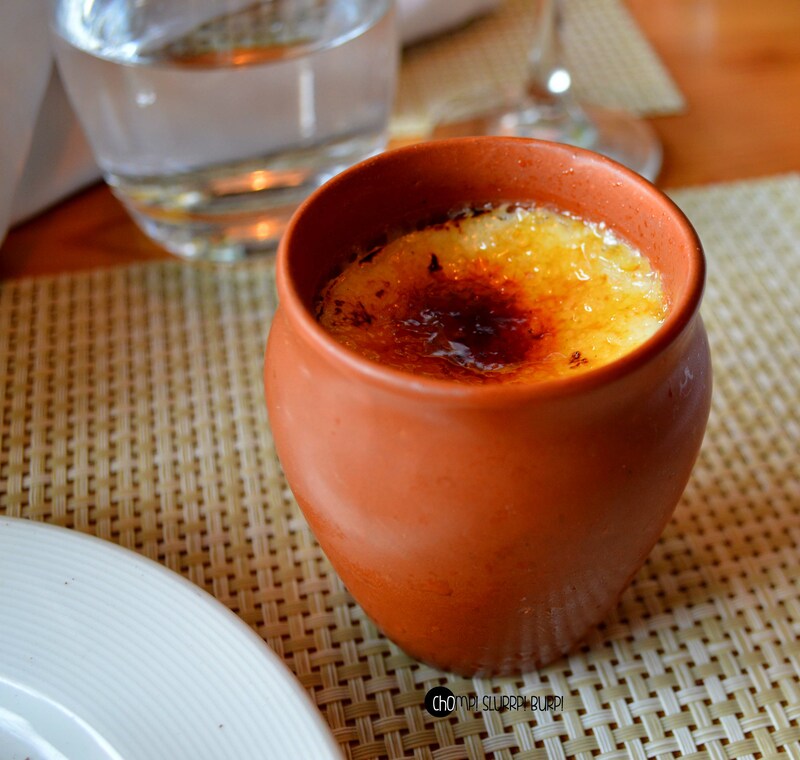 Lemon grass and kafir flavored creme brulee served in a traditional earthen kulhad – break into a sweet custard with the crunchy caramlised top. 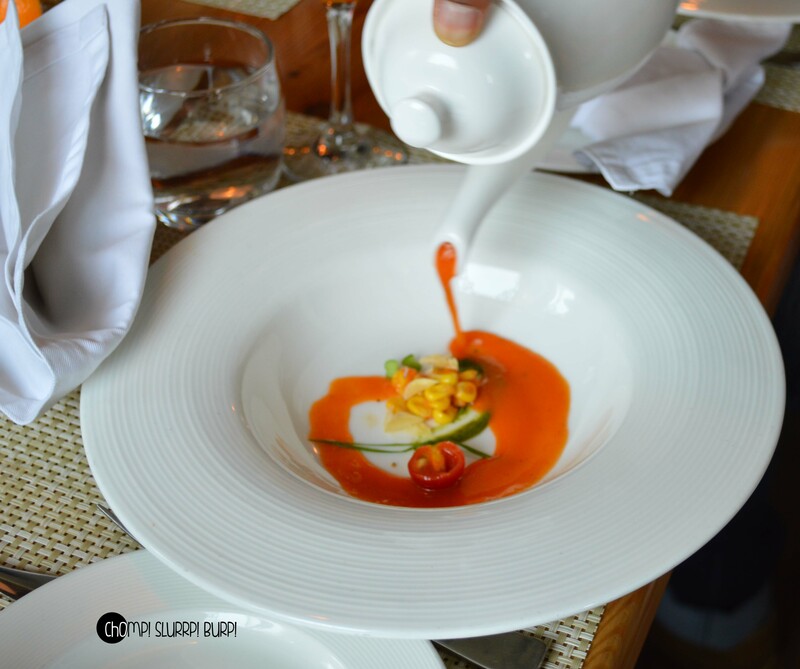 I loved the refreshing lemon grass flavors. 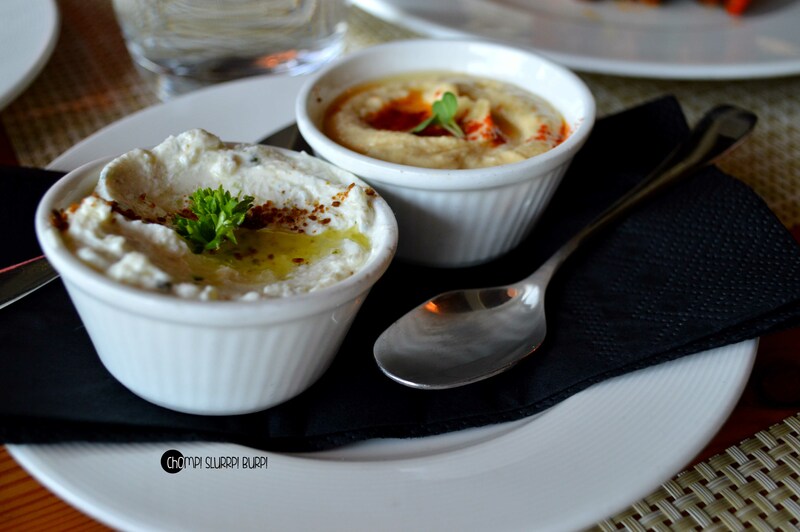 So next time you are looking for a meal that tantalizes your senses, give Dirty Apron a visit and don’t forget to gorge on their range of Summer cold salads and soups, the appetizing pizzas, stuffed mushrooms nonya sauce and their flawless desserts.